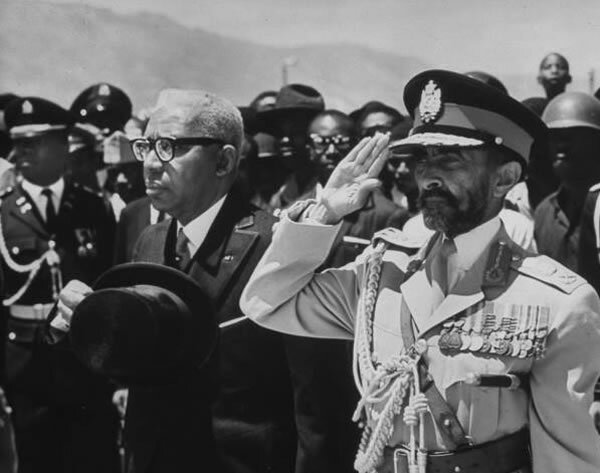 The King of Kings met the President for Life when he traveled to Haiti in 1966, becoming the only head of state to visit Haiti during the presidency of Francois Duvalier. President Duvalier, being a proponent of the black nationalist platform, was a supporter of the Pan-African model of excellence, and welcomed the Emperor of Ethiopia, Haile Selassie I with open arms. During his own rule, Duvalier became almost as popular as Emperor Selassie through his forceful might held by the use of fear and murder. His family became ridiculously wealthy through the country's coffers, as Duvalier explicitly appropriated state money, much of which came from aid funds given by other countries, into his personal accounts, all this while the population was impoverished. Because of his notorious reputation, Duvalier was forced to be under heavy guard consisting of 600 officers in the palace guard, 350 soldiers in the Dessalines Barracks next door, thousands of militiamen and the fearsome Tontons Macoutes.